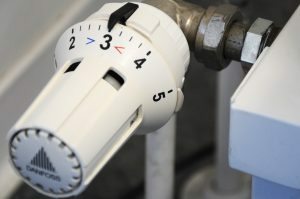 Not getting enough hot water in your home or business? Would you like to increase your domestic hot water capabilities? Are you installing a new water heater? Does it seem like your domestic hot water supply runs out too quickly? Have a Sparcomix AM-1 installed with your new water heater and get 15% discounted off regular price. Call your plumbing professionals at Burlington Plumbing & Heating to install a Sparco Anti-scald proportional thermostatic mixing and diverting valve on your hot water source and see immediate results in increased hot water capabilities. The Sparco Sparcomix AM-1 series accurately adjusts, maintains and limits the hot water temperature to a desired setting selected by the user. In domestic water applications it offers anti-scald, anti-chill protection and saves money. The installation of a Sparco AM-1 mixing valve on an 80-gallon hot water heater increases the usable hot water to 120 gallons by running the water at a higher temperature and mixing it to a safe usable temperature.